When Will Medicaid Cover the Nursing Home? The costs of nursing home care are stifling at best and exorbitant at worst. Even a loved one who considers himself or herself to have a fair amount of savings might find it frustrating to realize how quickly that money can be spent after just one nursing home incident. Less than five percent of elderly individuals have long-term care insurance, a vital form of protection that can help mitigate against these rising costs. If an individual receives Social Security, he or she may be eligible for coverage under Medicaid. Without SS, income limits do apply. If you have too high of an income to be eligible for Medicaid at this time, you need to consult with an elder law specialist. The reason for a consultation is that you need to carefully consider spending down your assets in order to qualify for government assistance. You need to take thoughtful action and evaluate how spending down could influence you and your family members. Remember that Medicaid has a five-year look back system to see if you have tried to give away too many of your assets. 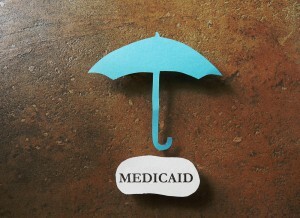 An attorney can help you understand when and how Medicaid can help you plan. It’s definitely beneficial to have Medicaid supporting you if you need care in the nursing home, but having someone counsel you has a high level of value, too. Contact us at info@lawesq.net.